Product prices and availability are accurate as of 2019-04-23 16:12:16 UTC and are subject to change. Any price and availability information displayed on http://www.amazon.com/ at the time of purchase will apply to the purchase of this product. Imported from Spain, old-world European elegance radiates from the SomerTile astre ceramic floor and wall tile, 17. 63" x 17. 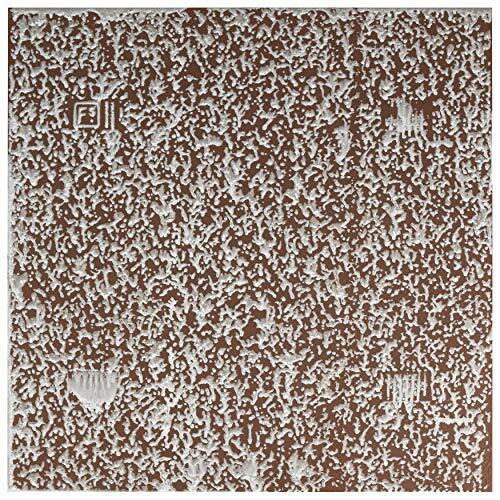 63", Oxide. 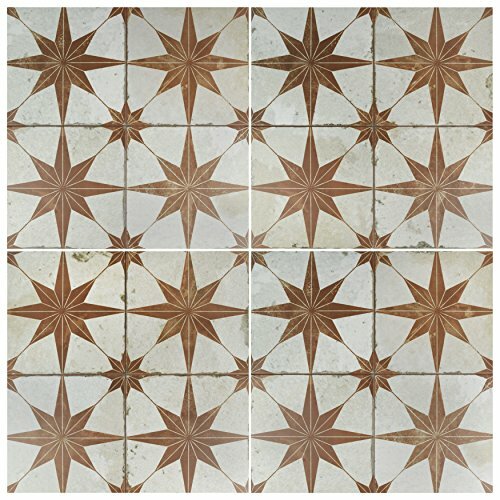 Save time and labor spent arranging smaller square tiles and instead install these durable ceramic slabs, which have four 8-3/4 squares separated by scored grout lines. 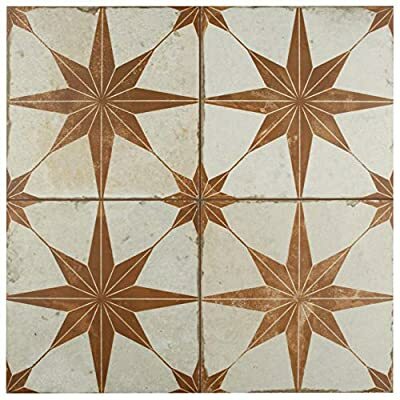 The defining feature of this encaustic-inspired tile is the unique, low-sheen glaze in beige tones with centered rusted copper-colored stars in each square. 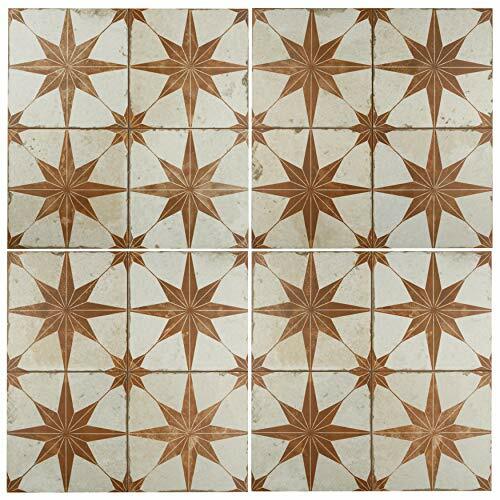 Variation throughout each tile mimics an authentic aged appearance. 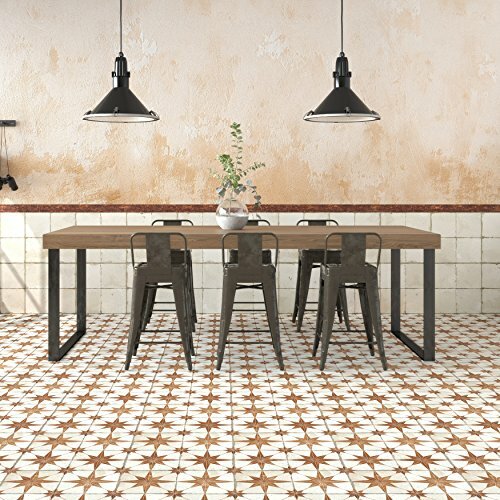 Designed by interior architect and furniture designer Francisco segarra, this tile is a true reflection of vintage industrial design. 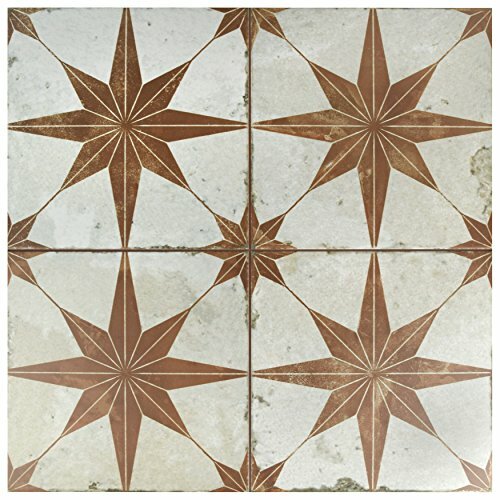 Realistic imitations of scuffs and spots that are the marks of well-loved, worn, century-old tile bring Rustic charm to your interior. There are nine different variations available that are randomly scattered throughout each case. The scored grout lines can be grouted with the color of your choice, or left ungrouted for a rugged finish.